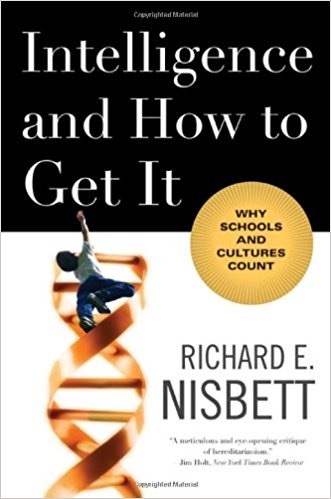 Intelligence and How to Get It: Why Schools and Cultures Count ©2009 by Richard Nisbett shows how intelligence is mostly determined by one’s environment and provides concrete things that parents and teachers can do to make kids smarter. He is convinced that intelligence has nothing to do with race and lots to do with hard work. 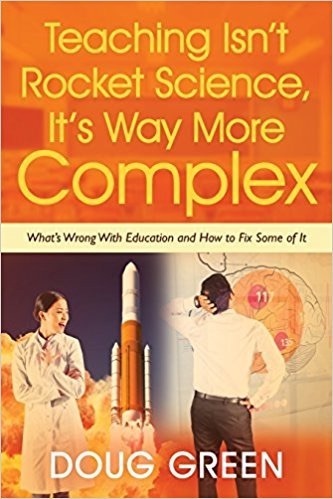 This is a must read for educators and parents alike. Richard is a distinguished professor at the University of Michigan. He has written numerous books on intelligence and cultural psychology, and is a member the National Academy of Sciences. If you like this book you might also like The Geography of Thought: How Asians and Westerners Think Differently and Why and Culture of Honor: The Psychology of Violence in the South with Dov Cohen. Here are Rickard’s tips from the final chapter that you should share with all parents you know. The previous chapters delve into each of these tips and backs them up with research. 1) Talk to your child using high-level vocabulary, and include children in adult conversations. 2) Read to your child and ask questions to look for understanding. 3) Minimize reprimands and maximize comments that will encourage your child to explore the environment. 4) Teach how to categorize objects and events and how to make comparisons among them. 5) Encourage your child to analyze and evaluate interesting aspects of the world. 6) Give your child intellectually stimulating after-school and summertime activities. 7) Steer your child toward peers who will promote intellectual interests. 8) Exercise while you are pregnant and continue exercising into old age. Make sure your children do the same. 9) Brest feed if you can for nine months. More doesn’t seem to help. 10) Model delaying gratification. 11) Teach children that their intelligence is under their control. 12) Praise children for hard work not for being intelligent. 13) Avoid giving rewards for activities that are intrinsically rewarding. Save rewards for things they might not otherwise try. Avoid praise that could make the child feel like they are being evaluated. 14) Do what you can to get the best teachers for your child and avoid rookies. Look for schools that promote cooperative learning. This entry was posted on Wednesday, April 29th, 2015 at 8:19 am	and is filed under Book Summaries, Education Books, Leadership Books. You can follow any responses to this entry through the RSS 2.0 feed. You can leave a response, or trackback from your own site.